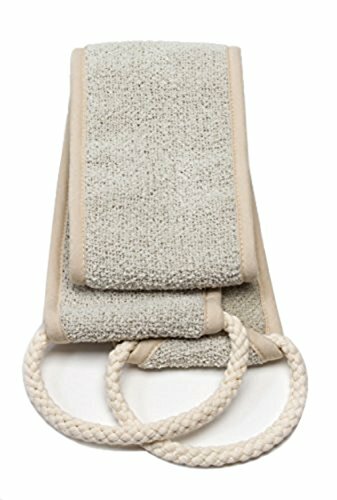 VERSATILE: Customized body exfoliation in one simple shower accessory. One side offers a textured, loofah-like surface that deeply exfoliates; the other side features a soft, smooth microfiber surface for massaging and invigorating the skin. FULL COVERAGE: The length of the Back Scrubber, combined with the handles at each end, makes it easy to reach your entire back. Try that with a an exfoliating brush! EASY TO USE: The two handles make the Back Scrubber a breeze to use. And when you're done, use the handles to hang it in your shower until next time. DRIES QUICKLY: Designed to not retain moisture, so it won't get moldy in your shower. DURABLE: Machine washable and made to last, our Back Scrubber will be there for your exfoliating needs even after many years and laundry cycles. 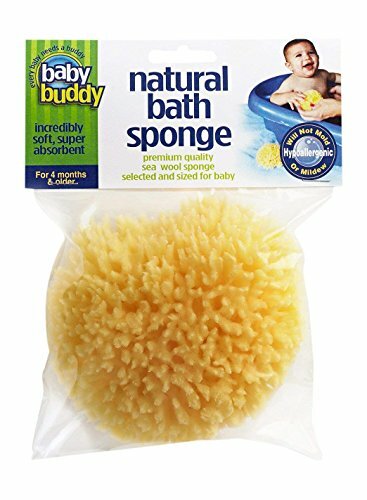 Baby Buddy s Natural Bath Sponge is an essential addition to your baby s bath-time rituals. Using a Natural Bath Sponge is one of the most natural and caring ways to cleanse your baby s skin. These sponges are highly absorbent, create a luxurious lather, are softly textured, and are suitable for the most sensitive of skin. They are more durable and last longer than synthetic sponges because they are more resistant to abrasion. In addition, Natural Bath Sponges are better for bathing and cleaning because they soak up and hold more water without dripping. Natural Bath Sponges are hypoallergenic and will not mold or mildew, and are also self-cleaning through their intricate system of canals, which means they wash out more quickly and easily and will not retain objectionable odors. It is recommended that you replace the Natural Bath Sponge every 8 weeks to keep it fresh and clean. Before First Use: Thoroughly rinse sponge in clean water to remove all fine sea particles. Periodically freshen sponge with a mixture of baking soda and water. Check out other Baby Buddy products, because Every Baby Needs a Buddy. 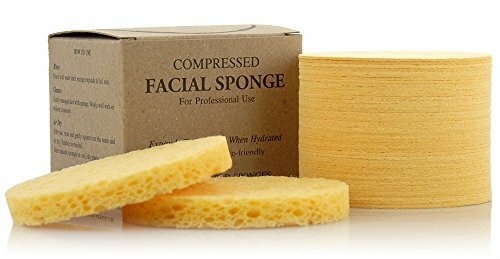 Finest quality cellulose sponge, works great to gently cleanse contours of face and neck. Our brand of compressed facial sponges are made from 100% natural cellulose fiber, the most eco-friendly choice available. Comes in a convenient compressed form for easy storage. Once wet, these sponges are soft and absorbent. Each sponge expands to 3" dia. x 3/8" thick, 50 per box. 100% NATURAL - Appearus Compressed Cellulose Facial Sponges are completely natural and biodegradable. 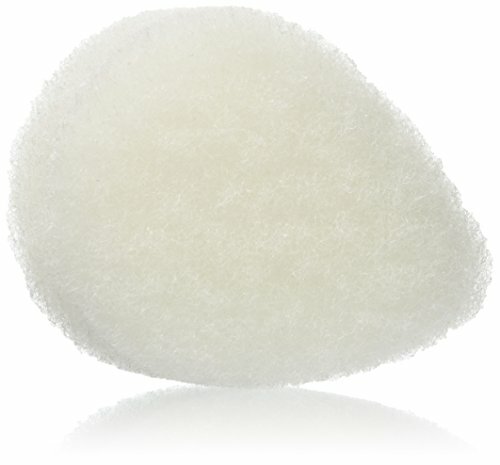 Appearus Cellulose Sponges don't have chemical odors like other inferior cellulose sponges. 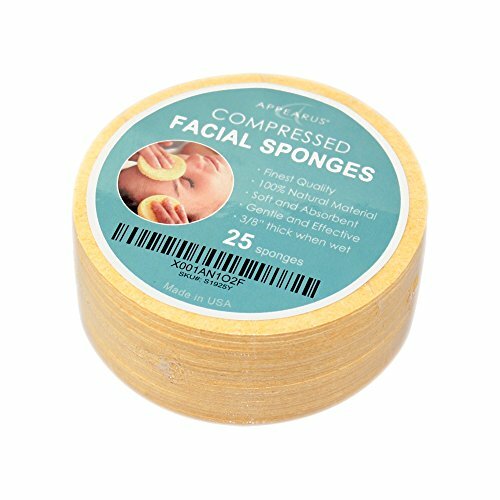 PREMIUM QUALITY - Appearus Compressed Face Sponges are professional grade sponges for daily facial cleansing. They work perfectly for removing dirt, makeup, facial mask and deep cleansing pores. DURABLE/REUSABLE - Appearus Facial Sponges are reusable for personal use. Rinse and wring out after each use and store in a cool, dry place. Sponges are single-use when used in commercial applications. WATER ACTIVATED - Appearus Compressed Sponge are conveniently compressed for easy storage. Each sponge expands to 3 dia. and 3/8 thick when is added. The perfect size for cleaning your skin fast and efficiently. MADE IN USA - Appearus Cellulose Sponge is manufactured in the U.S. by a reputable U.S.-based company. Finest quality cellulose sponge, works great to gently cleanse contours of face and neck. Our brand of compressed facial sponges are made from 100% natural cellulose fiber, the most eco-friendly choice available. Comes in a convenient compressed form for easy storage. Once wet, these sponges are soft and absorbent. Each sponge expands to 3" dia. 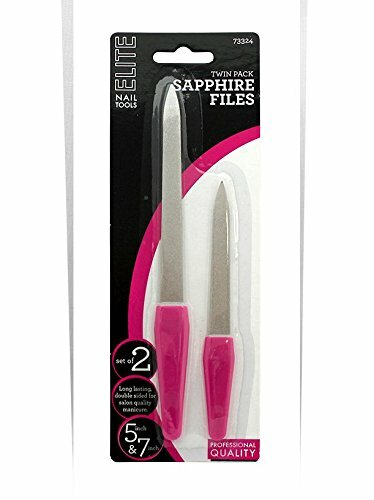 x 3/8" thick, 25 per pack. 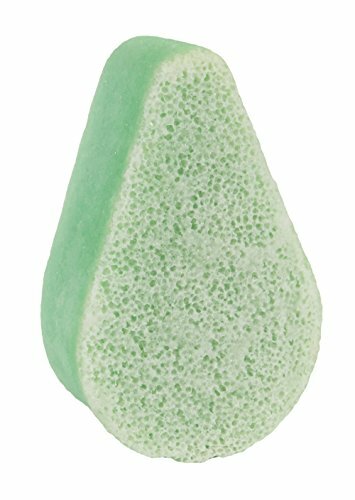 Featuring patented, revolutionary foam-release technology, this body sponge contains an exquisite blend of cleanser, moisturizing olive oil, seaweed extract, caffeine, and soothing aloe that will leave skin feeling soft and smooth after every use. Just add water to create a luxurious, at-home spa experience and release the rich lather. Directions for use: Thoroughly wet sponge and squeeze to release the creamy lather. Use the soft side to cleanse and moisturize. Flip it over and use the textured side to treat cellulite. Massage briskly in circular strokes. When finished, squeeze out any excess water and store in a dry place until next use. Apply shower gel onto mesh, rub gently to create lather. Hang to dry after use. Recommend replacement every two weeks. White, Blue, Pink , Red, Orange, Green or Yellow, Assorted. 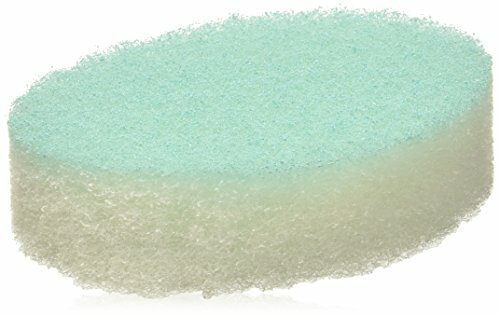 Featuring patented, revolutionary foam-release technology, this pedicure foot buffer is an essential element to any foot care routine, and it is gentler than any pumice stone. The dual textures work together to cleanse, exfoliate, and soften skin. Just add water to release the rich lather, and scrub away to revitalize and nourish tired feet. Create a luxurious spa experience at home with these dual-sided sponges. The shea butter and tea tree oil deeply moisturize while you bask in the aromatherapeutic scent of either eucalyptus or lavender as you pamper your feet. Pack includes 2 Lavender Tea Tree Oil and 2 Citron Eucalyptus sponges, individually wrapped. Directions for Use: Thoroughly wet sponge and squeeze to release the creamy lather. Use the smooth side to massage away dirt and impurities. 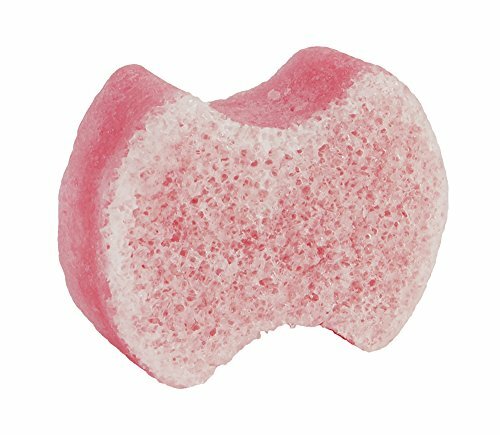 Flip it over and use the textured side to exfoliate and soften skin. When finished, squeeze out any excess water and store in a dry place until next use. The secret to really polished, smooth, attractive skin is exfoliation (that's why everyone's running to spas these days). This Double-Sided Sponge gets you there--inexpensively--with gently abrasive fibers that whisk away rough, dead, dry flakes and bumps. One side works on delicate areas (thighs, arms, buttocks, tummy), the other goes at elbows and heels with a bit more gusto. Perfect Prep for Sunless Tanning! Thoroughly cleans and refreshes your skin. Use every day with your favorite cleanser. 1 ~ Double Sided Body Sponge. Leaves skin feeling clean and refreshed! Use every day with your favorite soap or cleanser. Thoroughly cleanses skin of dirt and excess oil. white side for all-over cleansing. blue side for smoothing of elbows and feet. Leaves skin smooth and soft, perfectly prepped for shaving and sunless tanning. 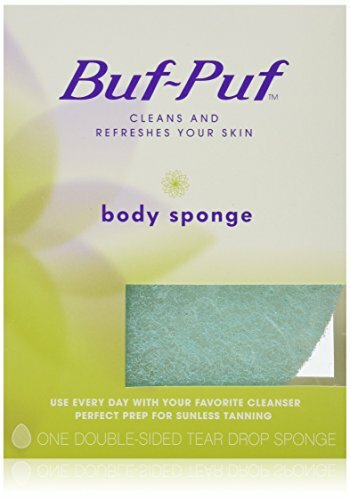 Buf-Puf™ Body Sponge is also the replacement sponge for your Buf-Puf™ Back Scrub. One of the newest trends in skincare is Konjac and our NEW unique Pure Complexion Facial Sponge is handmade with 100 percent natural ingredients, including Konjac vegetable fiber. Designed for a better clean that reveals smooth, refreshed skin, our sponge is dermatologist tested for use both morning and night! Use it to wash away dirt, oil and makeup, leaving skin glowing! We've always believed in the power of beauty. At EcoTools we encourage you to embrace your own individual meaning of beauty and share it with the world, whether it is makeup tutorials, an inspirational story or giving back to the community. Because when you feel truly beautiful, you will make the world and everyone around you feel beautiful! Armed with a mission to make women look beautiful on the outside and feel just as good on the inside, sisters Jen and Stacey set out to create a brush collection that was not only nature friendly, but chic, high-quality, and affordable too. After sourcing recycled materials, renewable bamboo and better manufacturing processes, in 2007, EcoTools was born. This year, we re celebrating EcoTools 10th anniversary by introducing a fresh new look, brushes that feel even better in your hands, and packaging with detailed tutorials that make it easier than ever to create a beautiful look from hair to toe. We re also marking a decade of living beautifully by making a $100,000 donation to Glamour s The Girl Project via our #MyTrueBeauty campaign that supports women s empowerment and encourages women to become the best version of themselves. We believe in giving a new purpose to old things. That s why our products are made from recycled aluminum and plastic. Our packaging is made of 100% Tree-Free paper. HOW? With 20% cotton and 80% bamboo fibers! The handles on our products are made of renewable bamboo, one of the fastest growing plants on the planet! One of the newest trends in skincare is Konjac and our NEW Pure Complexion Facial Sponge is handmade with 100% natural ingredients, including Konjac vegetable fiber. 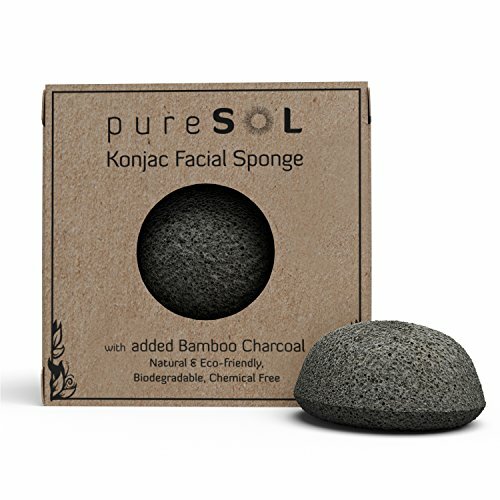 The exfoliating bamboo charcoal removes old skin cells impurities and leaves skin glowing. Designed for a better clean that reveals smooth, refreshed skin, it's dermatologist tested for use morning & night. Wash away dirt, oil & makeup, leaving skin glowing. Handmade, 100% natural ingredients, including Konjac vegetable fiber & bamboo charcoal. Wash your way to smoother, cleaner, healthier-looking skin. 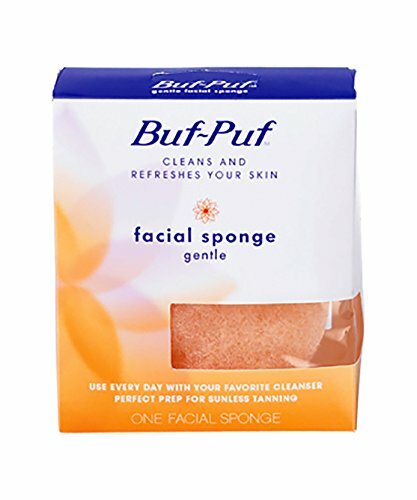 Use a Buf-Puf Facial Sponge along with your favorite cleanser to massage away dead skin cells, dirt, oil and makeup. 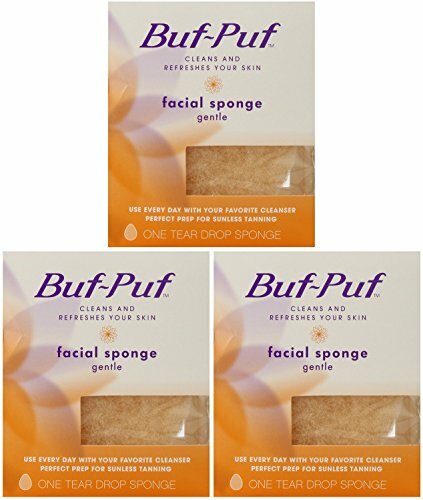 These gentle, non-irritating sponges are ideal for daily use - even on dry, sensitive skin. 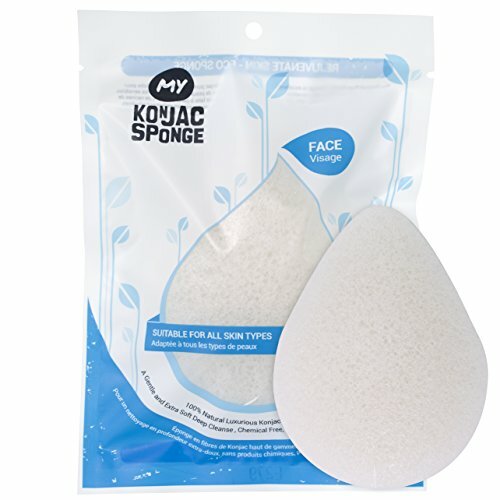 Ideal for all skin types including very sensitive skin, My Konjac Sponge Original Pure Facial Konjac Sponge is soft yet abrasive enough to exfoliate dead skin cells so your skin will feel fresh, smooth and soft. My Konjac Sponges are made exclusively with Konjac fiber from the root of the Konjac plant which is native to eastern Asia and rich in minerals and vitamins. Also great for household cleaning and scrubbing. 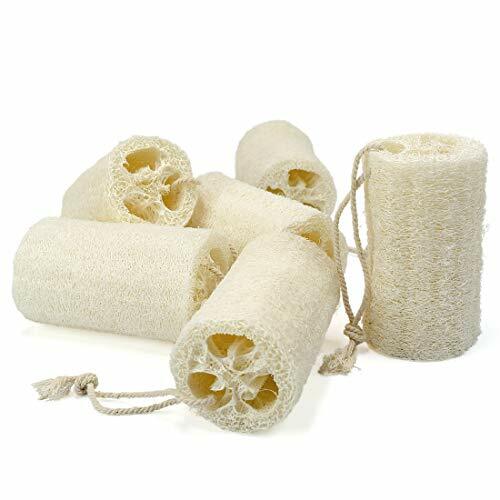 Note: Our Loofah sponges originate from the natural fibers in gourds from the Luffa cylindrica plant and they can be quite stiff and abrasive when new. Soaking the new Loofahs in hot water will help soften the fibers prior to first use and they'll continue to soften over time. Avilana's body brush is all you need for healthy and happy skin. This body brush is made with 100% silicone, which is soft and gentle on skin. One side of this brush has long bristles that are perfect for creating a bubbly lather. The other side has convex particles that are perfect for exfoliating and removing dead skin cells. 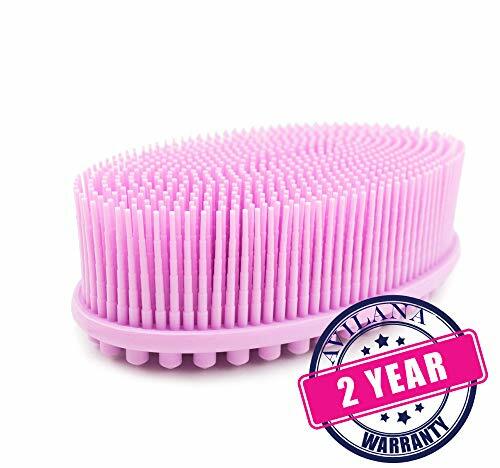 You can even use this brush for a head massage or scalp massage because of its flexibility. Silicone is very hygienic and can easily be cleaned. Just boil the body brush if it gets dirty. Replace your old loofah with this silicone body brush! It can be used wet and with soap to cleanse your body, or it can be used dry to remove dead skin cells and encourage new cell removal. Using a body brush is beneficial to your overall health because massaging the brush into your skin boosts vascular blood circulation. Additionally, it evenly distributes fat deposits and helps your skin release metabolic waste and toxins that it has been holding onto. This silicone brush is gentle enough for even a baby's skin and is ideal for individuals with sensitive skin. The brush itself is small enough to fit in your hand, but large enough to get the job done. Using a brush is more effective than just washing your body with your hand or with a washcloth. Additionally, it helps open your pores so that your skin will absorb moisturizer and perfumes better. And because your pores are clean, your body will be able to release sweat more effectively when you're exercising. 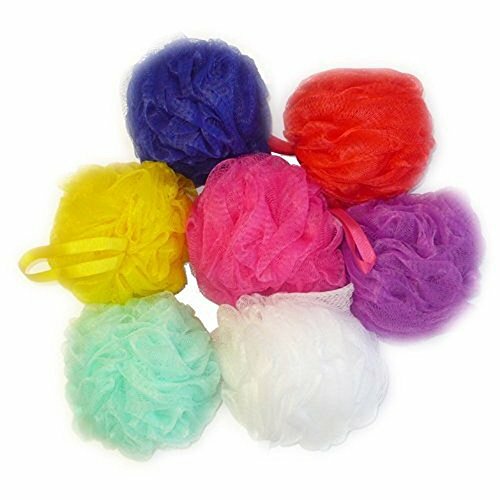 Our body loofah brush makes a great gift for a baby shower, wedding gift, or birthday. Try this 2-in-1 body brush today!